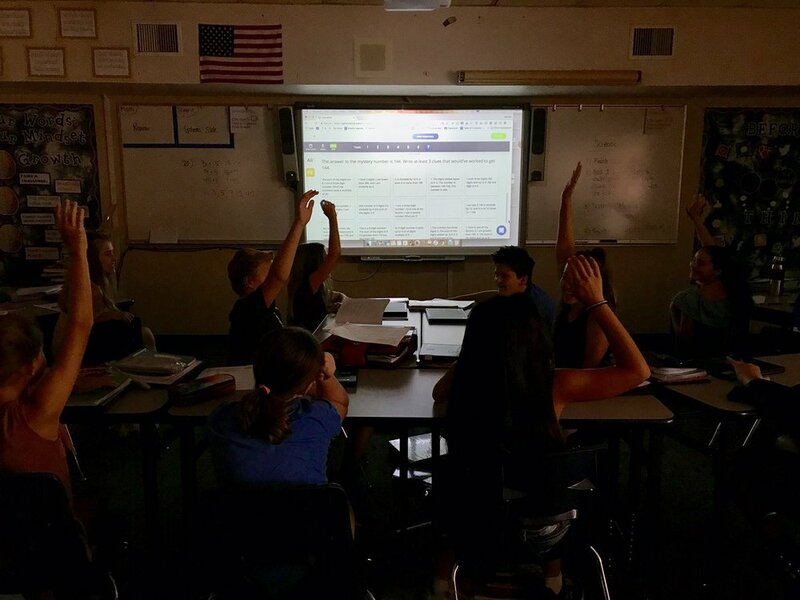 We got the chance to chat with 6th grade math and science teacher Jessica Kudlacek about how she uses Formative to engage her students in discussion. Check it out! David from Formative: To begin, it’d be great to hear what you teach! Also, it’d be awesome if you could share how you heard about Formative and what made you want to give it a try! Jessica K: I am currently a 6th grade math and science teacher. This is my first year back in the classroom after spending three years out of the classroom as an EdTech ToSA for our K-12 district. I heard about Formative during my time as a ToSA through Twitter, innovative colleagues, and conferences. David from Formative: We really appreciate you tweeting about Formative and we always love to see all those hands in the air! It’d be great if you could describe what led to that moment and paint a scene of it! Jessica's students analyzing peer responses using Formative! Jessica K: We used Formative to checking for understanding after a lesson on divisibility, prime, and composite numbers. Students responded to questions on their devices, many of the questions were open ended and asked students to explain their reasoning. After completing the questions, students’ answers were anonymously displayed on the SmartBoard. As a whole group, we reviewed each other’s answers, focusing on the wrong answers and trying to explain the misunderstandings. This led to a rich classroom discussion! Students were able to learn from each other’s misunderstandings to better grasp the concepts and demonstrate mastery. David from Formative: In your tweet, you had mentioned that you were using Formative to help students focus on analyzing each other’s answers. What do you think makes Formative great for this type of learning activity? Jessica K: By “hiding student names” students can openly have discussions about each other’s mathematical reasoning and understanding. Without judgment, students are able to open up and share. Hearing each other describe and explain the mathematical reasoning or mistake behind the responses gave them a much more relatable dialogue than me, the teacher, walking them through their mistakes. We would love for Formative to add a feature to shuffle student responses so that students don’t pick up on the alphabetical order of the hidden names. Editor note: we are adding this in soon! David from Formative: What’s your favorite part about using Formative? Jessica K: It is a low entry and high ceiling. Formative takes a simple checking for understanding activity and creates numerous opportunities for deeper discussions, eventually leading to deeper learning.